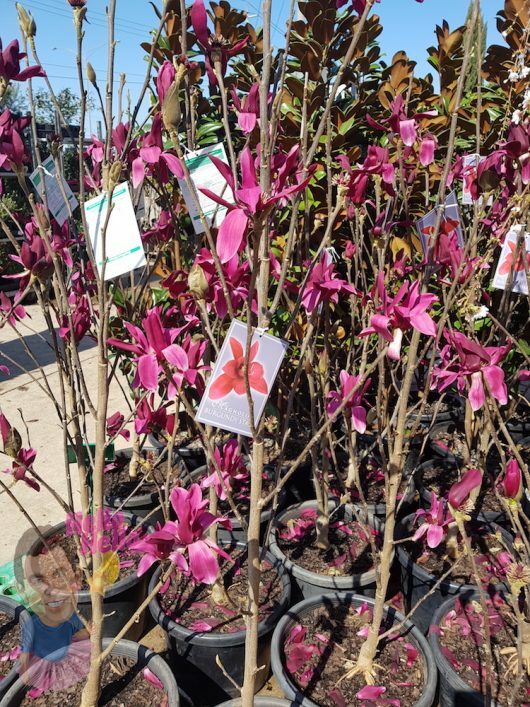 Burgundy Star is a deciduous tree that produces large, aesthetic red blooms which go on display in Spring. This variety has a tall, narrow, upright habit. 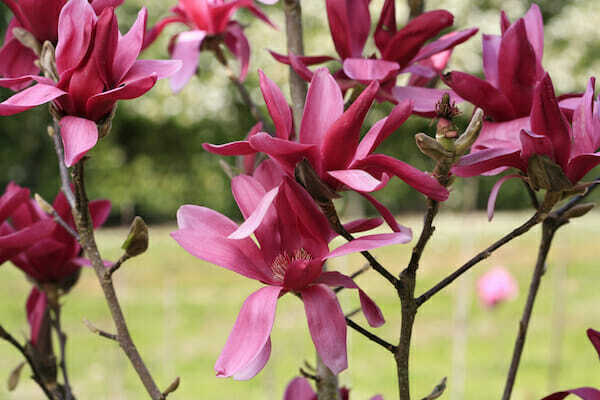 Grows well in most climates, tolerating all but the coldest temperatures. Burgundy Star is a fantastic choice where space is limited such as courtyards or driveways. Prefers a position of full sunlight. Matures at a height of 3m. 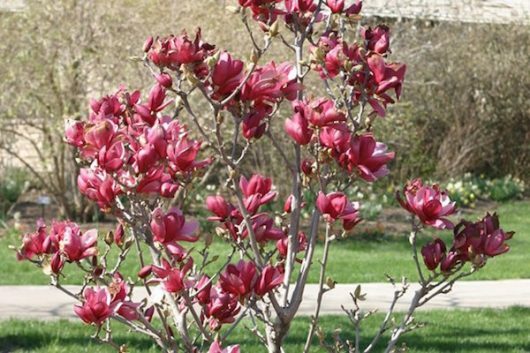 16″ pot size, approximately 5ft in height. SKU: MBST02. View our Return & Refund policy.